Dana Vollmer this week has officially qualified for the Rio Olympics, with her second-place finish in the women's 100-meter butterfly at the U.S. Olympic trials. Here's the most impressive part: She will try to become the first American female swimmer to win a gold medal after giving birth. That's right, just 15 months ago Dana welcomed a baby boy in the world and then went to work to achieve yet another dream. 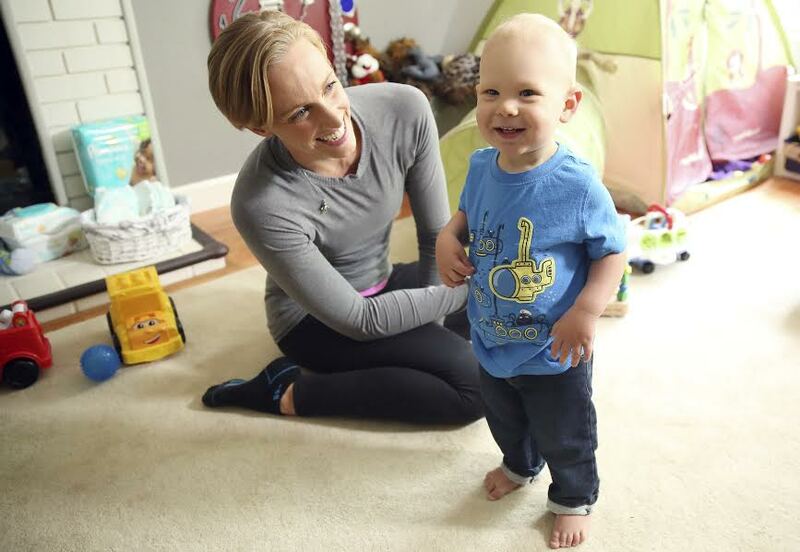 Dana had the chance to sit down with AOL to discuss motherhood, training, the upcoming Rio Games and a natural-fitting partnership with Pampers. Pampers offers overnight protection that helps baby have a sound night of sleep. A good night's sleep for baby means they both wake up well rested and ready to conquer their dreams. For more info visit: www.pampers.com. 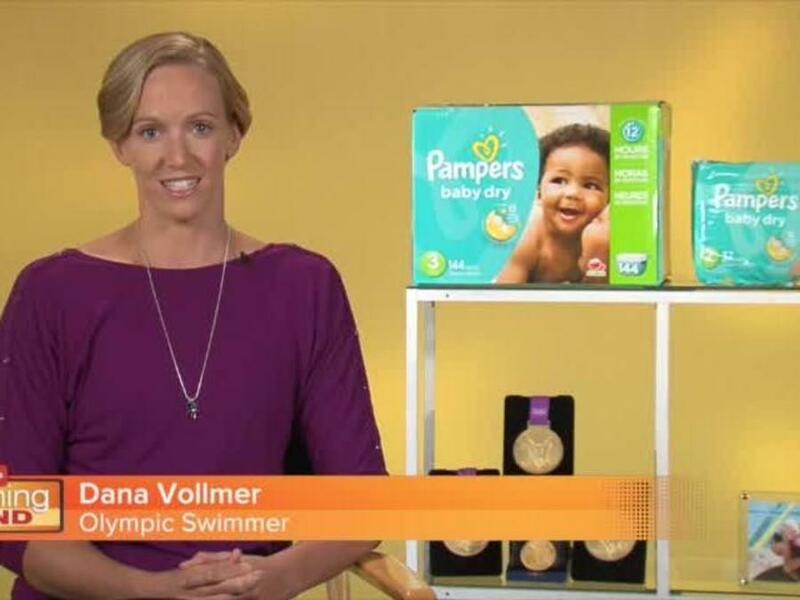 Q: Given you have mastered the art of balancing athletics and motherhood, it seems this Pampers campaign was a perfect fit for you. What is your favorite part of the campaign? A: It's been an incredible journey, taking two years off to have a son. I got back in shape faster than I thought I would, and I've recorded faster times and everything. The cherry on top is that a company like Pampers would want to partner with me. We've been a Pampers family since my son was born, and they understood that even with my swimming career, it's 'family first' and they fit it all in. It's definitely been a dream partnership. Q: What has been the best part of motherhood thus far? A: I feel like all the little steps he's taking. To holding him in my arms, to crawling, to walking. The looks. For me, it's the looks they give you during those moments. It's when he stands up and is excited. I do not want to miss anything. Q: At age 12 you were the youngest swimmer to compete at the 2000 Olympic Trials. How eye-opening was that experience and how did it fuel your determination? A: I've always been so incredibly competitive. I came in 49th out of 101 in the 100 fly at the 2000 trials. I remember being so upset. I wanted to make the team. It fueled me. One moment, where I watched a young lady win, she touched the wall, her face lit up and she jumped in arms of coach and I said, 'that's what I want.' I experienced and witnessed the emotion and excitement. That memory goes with me everwhere. Q: You've set numerous records, but which one was sweetest? Everyone is special in its own way. I'd have to say, though, after missing the team in 2008 and then turning it around to win the individual medal. It's something to say, I did it myself, I stood on the blocks in London. It's definitely an amazing moment in my life. It's close with being as special as the 400 medley relay. There's nothing better than standing with three other girls I worked just as a hard with. I'm fighting for those three girls. So, to win alongside teammates, it's so incredibly special. Q: When you look back at growing up in the pool, did you ever think you'd achieve this much success? Was that always your goal? A: It was never about success. I was the little girl who wanted to go to the Olympics, though. My parents told me to dream as big as I can. I always went 100 percent and I was never scared of failing. I could go get anything I wanted to. I try to do that in my parenting too. It's a journey where, in 2004, I was a star-struck 16 year old. In 2008, it did become more about the medals and try to live up to others' expectations. I found a new love for the sport in 2012 with different goals. And now after two years, having a son, it changed my life perspective. Swimming is my 'me' time. And I try to be the best mom and best swimmer I can. It's an amazing transition every four years, it seems. Q: What are you looking forward to most in Rio? A: I love swimming the 100 fly. I'll be competing against many amazing young ladies and talented athletes. I want to take in the moment and race as hard as I can.